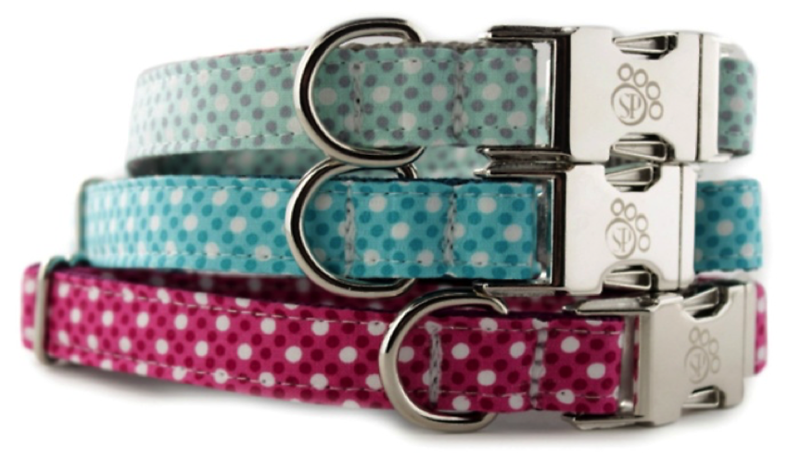 Fall is finally upon us, and that means that it’s time to head back to school. And although we’re not excited about it, we may have found some classes that don’t involve homework, finals, pop-quizzes, or boring lectures. If you love to learn but just can’t help but be bored sitting through BIO 240, have no fear. Get away after school or on the weekend to try some classes that you might actually like to pay attention to. Here in Chicago, we have been blessed with some of the trendiest classes that can help you expand your mind. These classes are branched out all over the north side of Chicago, so why not check out a cool new area while you’re at it? 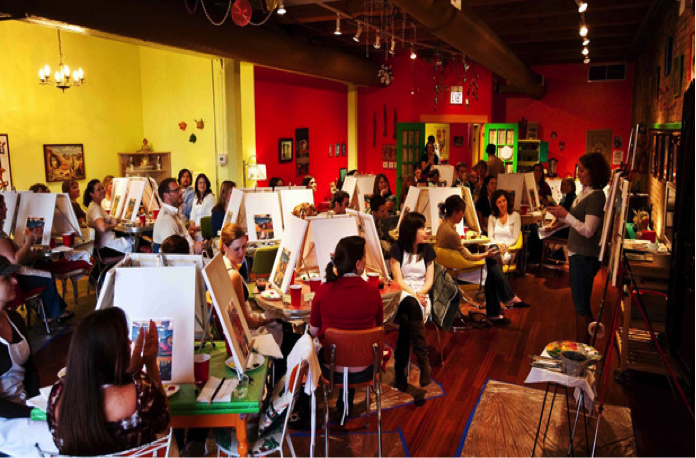 If you have secret passions for art, cooking, or just don’t know what that passion is yet, then Chicago just might have a little something for you! Not to mention, the best part about all of these classes is that they’re booze friendly! It’s time to get educated! (And maybe even a little tipsy!) Bring your friends! BYOB! Check out these 5 spots to take boozy classes in Chicago! The Wooden Spoon gives new insight on all things food. That’s right, learning how to cook while you uncork! 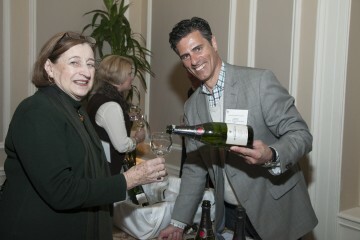 (Did we mention no corkage fee?) 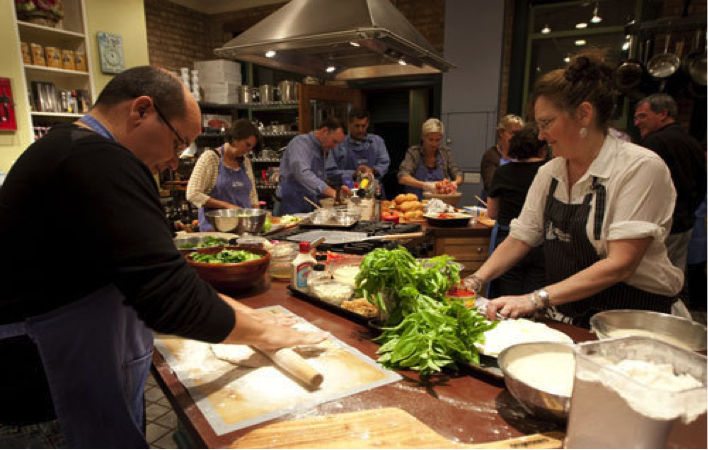 Offering classes such as Grilling with Comedy, Mexican Madness, and Couples Cooking! Some college students stuck on Ramen Noodles may want to highly consider this one! Bottle & Bottega allows you to let your artistic juices flow while the wine flows into your glass. 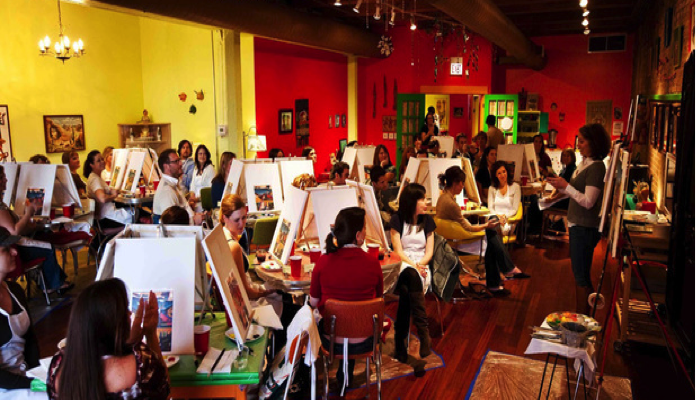 With various painting classes offered daily including Mimosa Morning, Chi-Love Wednesday, and Naughty Night, these classes are sure to help you feel inspired to make some awesome art as well as friends! Give Me Some Sugar, Inc.
Give Me Some Sugar, Inc. is sure to satisfy every sweet tooth in the room with their offerings perfect boozy pastry cooking classes. 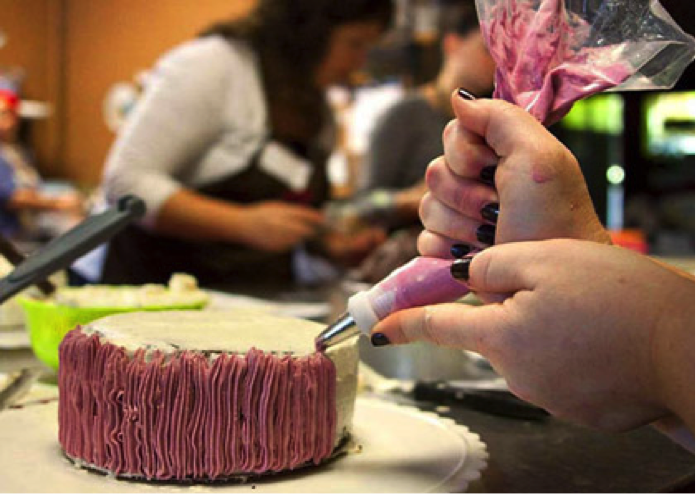 Classes on how to make cake pops, macarons, and how to decorate a cake are offered daily! Just think that these are just a few of the sugary delights you will soon be masters of! Ever wonder how the sushi goodness becomes the perfect little rolls you see at your favorite sushi spot? Well now is your time to learn! 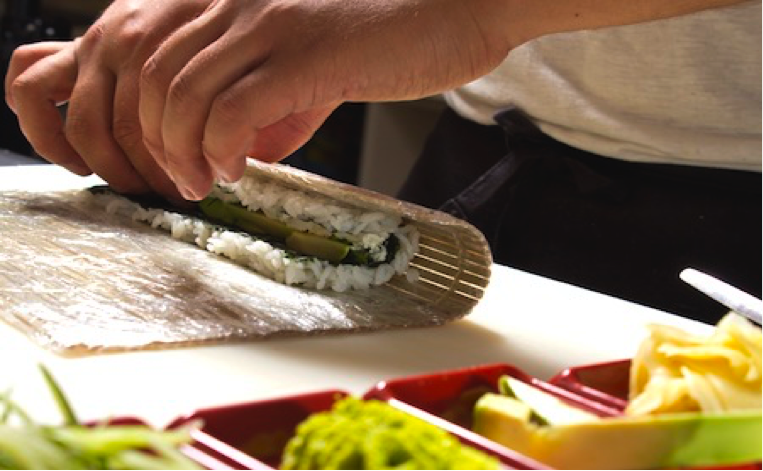 Roll Sushi Roll provides multiple sushi rolling classes to help you perfect the rolls you love. Roll your way through this class all while you sip or chug your favorite beverage! So what are you waiting for? Your beers are getting warm! Class is NOW in session! Win A Trip to HONG KONG at Luckyrice’s Chicago Feast! Cathay Pacific Wants to Send A Lucky Chicagoan on a Trip of a Lifetime! 2-Day Resale Pop-Up Shop Offers Luxury Labels for Less!